The Australian dollar surged to a two-year high after the Reserve Bank delivered an optimistic assessment of infrastructure investment, government spending and household consumption on Tuesday. But concerns about consumers battling with rising electricity prices, underemployment and torpid wage growth were highlighted by the board in the minutes of its July meeting as some of the reasons for leaving the cash rate at the record low of 1.5 per cent. While displaying a reluctance to follow the US Federal Reserve and the Bank of Canada in raising the cash rate, the board’s minutes showed the strongest sign yet that the next rate move will be up. The board said a “neutral” cash rate of 3.5 per cent would be the point at which stable inflation and economic expansion were likely to meet. The Australian dollar hit its highest point since May 2015 at US79.04¢ following the release. 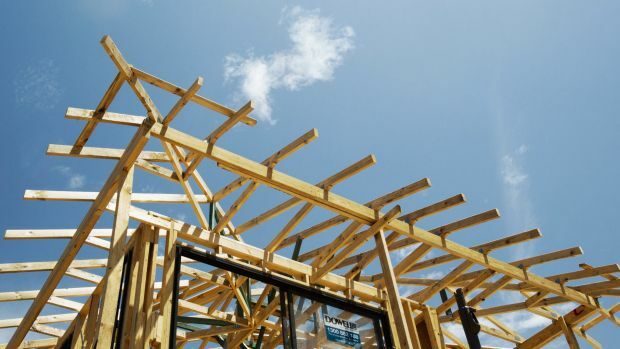 On housing, the board said conditions in Melbourne and Sydney, where prices have risen by 14 per cent and 12 per cent over the past year, had softened recently, while house prices in Perth and apartment prices in Brisbane had fallen further. In what could be seen as a warning on a future housing downturn, the board noted “several periods in the preceding decade in which housing prices had fallen, or growth had slowed significantly, in different parts of the country”. Members said it was too early to tell if the crackdown on home investor lending by banking regulator, the Australian Prudential Regulation Authority, had had their full effect. The regulator launched a string of tough new measures in April designed to slow house price growth and help address the risks associated with rising levels of indebtedness. On wages, the board offered up some optimism for workers by noting the Fair Work Commission’s 3.3 per cent increase in award wages. “[This] was likely to affect the wages of around two-fifths of workers,” the board said after adding the unemployment rate had declined by 0.3 percentage points over the previous two months, to its lowest rate since early 2013. 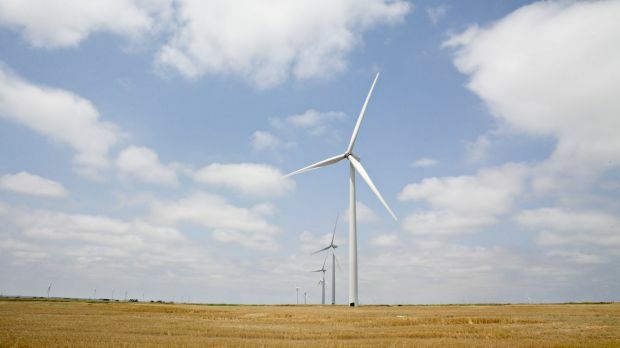 The board noted that wholesale electricity prices had risen sharply over the first half of 2017 and that this had led to significant increases in prices for customers, highlighting “efforts to address climate change, policy uncertainty and its impact on the investment decisions” as contributing factors. In June, EnergyAustralia announced it would increase electricity prices in Sydney by 19.6 per cent – or $320 a year – from July 1. We would need to see an upgrade to wage and inflation forecasts to put rate hikes on the table any sooner than 2018. Globally, the RBA remained positive, highlighting the resilient Chinese demand for commodities and the temporary slowdown in the US economy in the March quarter, with consumption starting to pick up again. Analysts remained sceptical of any rate hikes before next year. “Today’s minutes seemed to have a more positive tone overall, with the RBA acknowledging recent strength in the labour market and the generally positive flow of data for the June quarter,” Commonwealth Bank economist Kristina Clifton said. Capital Economics’ Paul Dales said the minutes of July’s meeting suggested the RBA was not itching to follow other central banks by raising interest rates in Australia. “If we are right in thinking that rates won’t be raised until 2019, the Australian dollar may yet fall from $US0.78 to $US0.70,” he said. The Reserve Bank kept rates on hold this month, but experts are increasingly pointing to rate hikes in the near future. For Australia’s indebted property owners this could mean paying hundreds of dollars more in repayments every month. But now the market is at a tipping point. Experts are predicting significant interest rate hikes, and they have the potential to hit hard – particularly for speculative property owners who over-extended themselves during the boom. Those who haven’t factored in rate rises to their household budget could see themselves in hot water, suddenly needing to find hundreds of dollars extra a month. Ex-RBA board memberJohn Edwards recently predicted eight rises in the official cash rate in the next two years to bring the official cash rate to 3.5 per cent from the current 1.5 per cent. Thankfully, most lenders currently assess borrowers against a minimum rate of 7.3 per cent – about 3 per cent higher than most applicants’ rates – to ensure they can afford a loan if rates moved, Mortgage Choice chief executive John Flavell said. “While some borrowers may find themselves in ‘mortgage stress’ after a few rate increases, for others, rates would have to increase significantly before they start to feel uncomfortable,” he said. Higher rates could see some borrowers required to pay hundreds of dollars more for their mortgage. Their research found a third of Australians said they’d need to see rates jump by “at least 2 per cent” for a considerable impact to be felt. For someone with a modest $300,000 loan, repayments could jump by $366 a month if rates moved from 4 per cent to 6 per cent. On a much larger loan of $1 million repayments would be $1220 more expensive in the same scenario. Property Investment Professionals Australia chairman Ben Kingsley warned that some borrowers may have only factored in interest rates peaking at 6 per cent, which would leave them at risk of mortgage stress. The more likely scenario is a 1 per cent rise in interest rates, which would see an economic slowdown due to households spending less, he said. He recommended borrowers put extra savings into an offset account or into their mortgage while rates were low. This would provide a “buffer” for unexpected events – preferably enough to cover six months of repayments. Borrowers could also consider fixing all, or part, of their loan, but this would restrict the amount extra that can be repaid and break costs could be expensive, he said. Dream Financial senior advisor Paul Bevan warned that anything higher than a 7.25 per cent rate for mortgage repayments would cause “concerns” for borrowers. A borrower with a $400,000 mortgage facing a rise from 4.25 per cent to 7.5 per cent would face an additional $10,000 a year in repayments. “That’s almost $20,000 extra income they would need to earn to maintain there current standard of living and I’m not seeing many employers handing out $10,000 a year wage rises to their staff at the moment,” Mr Bevan said. His clients are predominantly opting to fix half their loans. 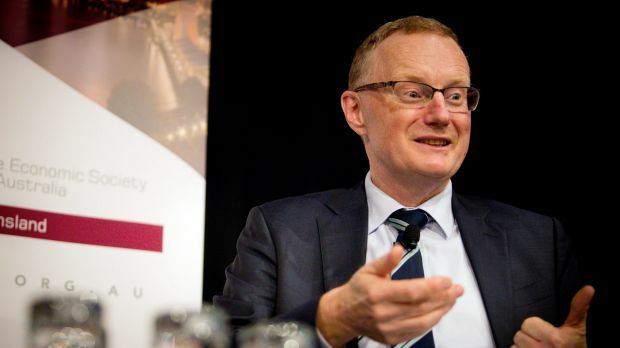 Despite this, NAB chief economist Alan Oster was also not convinced the RBA would hike rates quickly enough to cause significant mortgage stress. “The balance sheet is robust, 60 per cent of loans are variable, and [most are] 2.5 to 3 years in advance of where they need to be [in terms of repayments],” he said. “If you’re worried about a bubble the last thing you’re going to do is put up rates,” he said. Mortgage repayments are now actually lower than they were five years ago in most states. And fewer households are facing mortgage stress, Census data shows. This is largely thanks to low interest rates. If these rates increased they’d quickly appear much more expensive for households, a recent report from LF Economics shows. “The standard mortgage payment formula shows nationwide debt repayments relative to household incomes are lower today than in 1990 and the smaller peak in 2008,” the report said. In 1990, interest rates were around 17 per cent and borrowers used half their income to repay their mortgage in 1989, compared to 35.9 per cent in 2015. But given the “current economic climate it’s more likely that mortgage stress would be caused by factors other than rising interest rates,” Joanna Pretty, general manager for non-bank lender State Custodians said. The Reserve Bank of Australia has kept the official cash rate steady for a 10th straight meeting and signalled it won’t be in any rush to join offshore banks in moving towards near-term interest rate hikes. Board members left the overnight cash rate at 1.5 per cent, where it’s been since last August, as was forecast by markets. In recent months, Australia’s big four banks, along with a number of smaller lending institutions, have regularly raised rates, particularly for interest-only borrowers, effectively tightening monetary policy despite the central bank’s caution. Household debt, new figures show, is at a record high. Treasurer Scott Morrison said on Monday that he was confident this year’s APRA crackdown on interest-only loans to property investors would ensure a “safe landing” by encouraging households to reduce their overall debt levels. The dollar fell sharply after the board’s statement was published after it dashed expectations among some traders that they would join the Bank of England and Bank of Canada’s recent shift towards a more hawkish stance. Instead, the Reserve Bank produced a near carbon copy of the June statement, noting that consumption remains “subdued” because of low wages growth and high levels of household debt. The bank also noted that global inflation rates have decline recently in response to falling oil prices, and that wage growth was subdued in “most countries, as does core inflation”. On the more optimistic front, the Reserve Bank said that it expects the economy to “strengthen gradually” and repeated that a rising Australian dollar wouldn’t be helpfull. The wait-and-see tone of the statement saw the exchange rate fall to US76.32¢ from US76.77¢. In a repeat of the June statement, the Reserve Bank noted that the housing market varies around the country, but that the stronger markets are showing signs of easing. “Growth in housing debt has outpaced the slow growth in household incomes,” it reiterated.